Google Is Testing A ‘Search Lite’ App For Countries That Have Slow Internet Connections. Google is testing a light version of its Search app meant for areas with poor or slow internet connections, according to Android Police. The app is presently only available in the Play Store in Indonesia. The functions of Search Lite, as it seems to be named, are almost the same as what’s available in Google’s current cross-platform Search app. Users can search for things by typing or speaking, there’s a translate function, a Google News section, and local information like weather and businesses. While the regular Google Search app starts users off with just a search bar, it quickly turns into a photo-rich experience with animations that appear as you scroll. 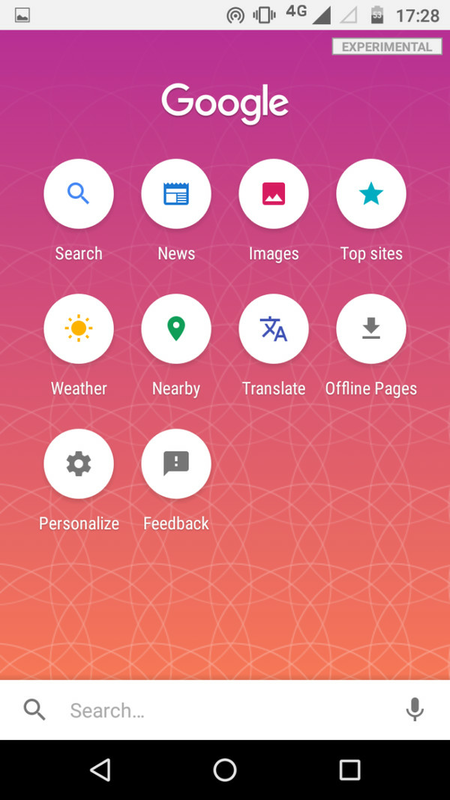 Search Lite appears to skip that step, and instead, it brings all of that information to the front in the form of a grid of icons, similar to a home screen filled with apps. The difference lies in how and when Search Lite uses data. It will likely use very little data, enabling users with very little bandwidth to be able to do the same sorts of things that someone in a country with fast, freely available internet could. It’s a similar approach to how Google created and tested YouTube Go, a light version of its YouTube app, which the company tested in India last year ahead of a broader beta rollout this spring. More widely, Google has been working on a low-data version of Android itself called Android Go, which the company announced at this year’s I/O developer’s conference. It’s all part of the company’s effort to reach the “next billion users,” which has been a top goal for Sundar Pichai since before he took over as CEO in 2015. Previous articleMurky Apple ‘Leak’ Shows 60-Inch OLED TV Could Be On The Way. Next articleCrowdfunded reMarkable e-paper Tablet Arrives On August 29.